The Energy Excelerator, born out of a pivot from a grant-based operation to a dual-track accelerator program, released its first impact report today, illustrating its evolution and reporting on how well it’s doing with its more than $30 million in federal, state, and private funding. As Hawaii’s growing network of venture accelerator programs begin to mature, it’s natural to wonder just how successful they are at launching companies, finding investors, and ultimately strengthening their respective industries and the business community as a whole. The state government certainly has a stake in the answers, and the Hawaii Strategic Development Corporation released a combined report to the legislature last year on the programs it supports with federal and state funds in the HI Growth Initiative, including Blue Startups, the GVS Transmedia Accelerator, mbloom on Maui, and California-based Startup Capital Ventures. The HSDC laid out the numbers, pointing out that its investment obligations of state funds have been leveraged 8.7 times by private and federal sources. The local business community itself has begun to measure the “innovation economy,” with the Hawaii Business Roundtable recently releasing its Innovation Assets Report. The group found nearly 4,000 entities in Hawaii’s innovation economy that account for more than 40,000 jobs, with an additional 200 companies established in 2013 alone. And there’s external validation, with Blue Startups listed among the nation’s Top 20 Accelerator Programs by TechCrunch. and the GVS Transmedia Accelerator named a winner in the Small Business Administration’s Growth Accelerator Fund competition. But the Energy Excelerator is offering a self assessment in its impact report, a clean, spreadsheet-free document that the program admits isn’t your usual annual report. The report’s colorful 35 pages include an overview of the Energy Excelerator program, from its origins to its structure (split between “go-to-market” and “demonstration” tracks) to its partners and corporate sponsors. It also features information on its growing portfolio of companies, including one-page case studies for a handful of notable graduates that have made the most of the resources the accelerator provides. But the Energy Excelerator isn’t simply trying to build profitable businesses. The program is singularly focused on startups that can advance energy efficiency and benefit the environment, a mission bolstered by its support from the federal Department of Energy and the U.S. Navy’s Office of Naval Research. The military certainly understands that the nation’s reliance on foreign-sourced petroleum is the single greatest threat to its overall security and stability. But both energy self-sufficiency and environmental stewardship are especially important in Hawaii. The Energy Excelerator currently has 32 active portfolio companies, 14 of them already generating revenue, and the full slate of startups has raised follow-on funding of $207 million so far. The first cohort included only eight companies drawn from 50 applications, 10 percent of them led by team members who had previous exits. By 2014, there were 228 applications (17 percent with previous exits) and 21 companies accepted. The latest round drew 298 applications (33 percent with previous exits) creating a cohort of 32 companies. There are 25 Energy Excelerator companies active in Hawaii, nine of them headquartered in the islands, and 14 demonstration projects underway in Hawaii. Of the mainland based companies that have gone through the program, six of them have a Hawaii team member, and two of them have a founder from Hawaii. 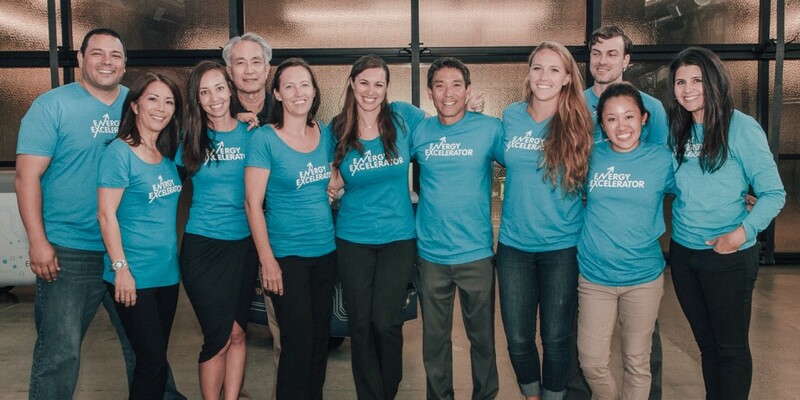 The Energy Excelerator hosted 12 events and gatherings in Hawaii and was invited to speak at 24 events across the U.S. and Asia Pacific. 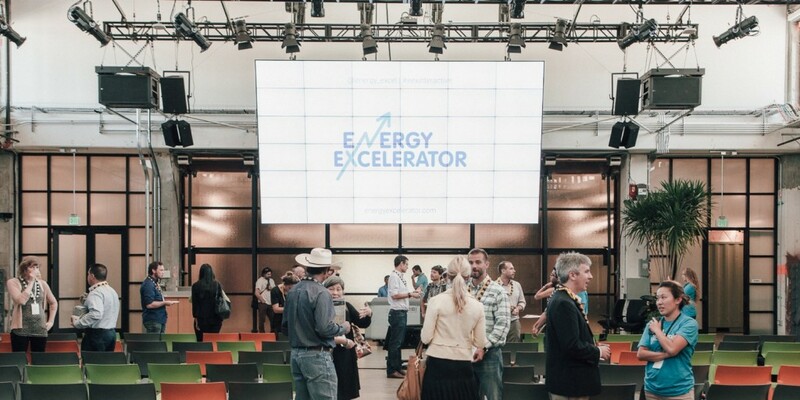 You can read the Energy Excelerator’s blog post announcing its impact report, or download the full report here, For more information on the program, visit EnergyExcelerator.com, follow @Energy_Excel on Twitter, or connect with the accelerator on Facebook. Photos courtesy the Energy Excelerator.